Utahredrock: Airstream Calling . . .
Airstream Calling . . . I am--almost--back in the market for my next travel trailer, and it will likely be . . . This past weekend I came very close to buying a cool 1954 canned ham. The guy was asking $4,000. I had him down below that, but realized, I wanted a bit more. My delay will mean waiting longer, but that's OK. I am now focused on a new vehicle. Currently I own a Volkswagen TDI (their dirty/cheating diesels) and a 1997 Dodge Ram 1500. I am likely to sell both of those to buy a Chevy Colorado with Duramax. 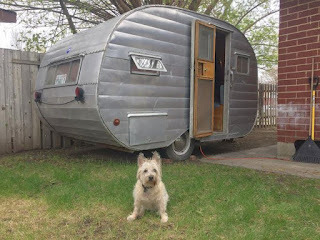 I've resubscribed to Airstream Life and hope to have my new trailer no later than next March. Time will tell.